Based on a new (old) interview and immediate further clarification from solo Batman movie director Matt Reeves, Ben Affleck is likely not only out as Batman, but the solo Batman film will not even be part of the extended DC Film universe. Initially, the interview that surfaced from a few months ago stated Matt Reeves explaining his initial pitch to Warner Brothers, reportedly saying, “What they said was, ‘Look, it’s a standalone, it’s not part of the extended universe. '” However, after the Internet exploded following the news that their beloved Batman would not be a part of the extended DC film universe – the same universe that includes the incredibly successful and vaunted Wonder Woman, as well as Aquaman, Superman, the Flash, and a few others – Reeves immediately took to Twitter to clarify. It makes sense, when you stop and think about it. Ben Affleck’s Batman is part of the Justice League DC Extended Universe, and will in fact next be appearing in the Justice League movie. If Ben Affleck really is hanging up his cape and cowl, then it’s a logical jump to assume that the new incarnation of Batman won’t be part of the same universe that Ben Affleck’s Batfleck just left. After all, there’s only so many versions of the same character we can take in a short span of time, especially a character as dour as Batman (let’s be real, Christian Bale’s Batman worked because of the quality of the Nolan films). 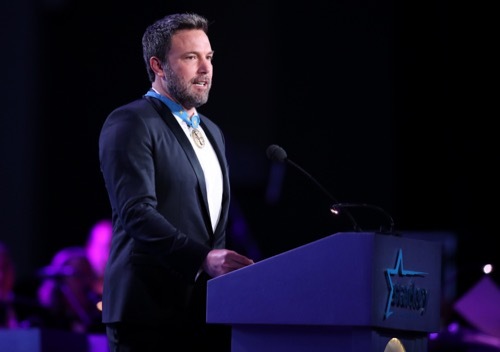 Meanwhile, Ben Affleck’s career continues spiraling through a loop as he loses both his chance of directing the solo Batman film as well as starring in it, killing his dreams of revamping his superhero career after the absolutely awful Daredevil. Affleck’s performance as Batman was actually not terrible, but from all these reports, it sounds like he’s not really going to get a chance to put his mark on the character. Instead, Batman will once again be re-cast, hopefully with an actor without as much baggage the next time around. What do you guys think about Ben Affleck possibly (probably) not reprising his role as Batman in the solo Batman film, and what are your thoughts on the solo Batman film not being part of the extended DC film universe? Do you think DC should just give up and let Marvel have the mantle, or (at the very least) hand over creative control of the entire DC universe to Patty Jenkins, who’s single-handedly saved DC’s reputation with Wonder Woman? Let us know your thoughts in the comments below. 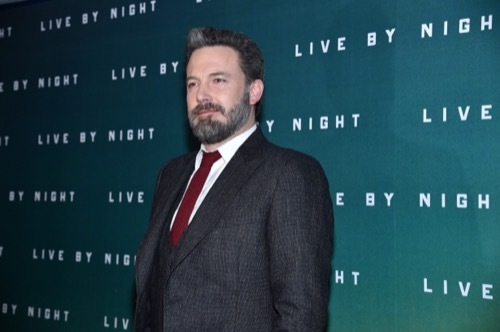 Casey Affleck Suggests Ben Affleck Dropping Out Of Batman Movie – Ben Given Ultimatum? Is Ben Affleck About To Be Fired From Batman?